Special meetings may be called from time to time as the need arises. 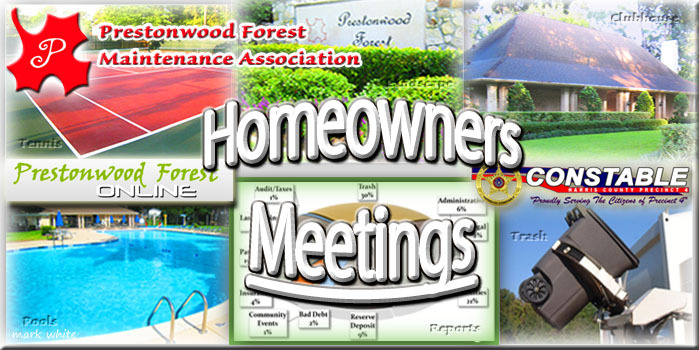 Normally, these meetings will be held as open meetings at the clubhouse. Occasions for special meetings include homeowners’ voting on subjects such as changes to Association By-Laws, crisis management, etc. In the case of a required homeowners’ vote, formal notice will be mailed to each homeowner of record well before the date set for the meeting, and proxy forms will be provided with the notice. Ballots will be provided at the meeting. An agenda will be prepared as required by the specific reason for the special meeting.